Sunseeker Internationals is the largest luxury yacht manufacturer in the United Kingdom. The headquarters and main construction site is situated in Dorset at Poole Harbour. Since 1999 Sunseeker yachts have appeared in James Bond films, and in 2002 the founder of Sunseeker was awarded with the UK Entrepreneur of the Year award from Ernst & Young. 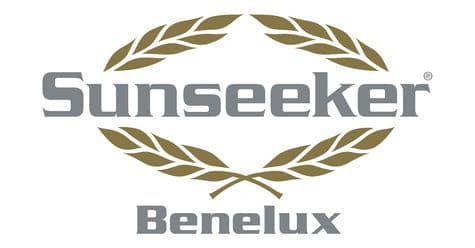 Sunseeker is owned by the Dalian Wanda Group, a Chinese conglomerate that bought the company in 2013. Founder of Sunseeker Robert Braithwaite started his career in the boat building industry in the 1960s when he worked at Friar’s Cliff Marine. Friar’s was a boat selling company that stocked boats made by the American company Owens Cruisers Inc. When the company moved to Poole it became Poole Powerboats. Shortly after, Owens stopped supplying Europe with their vessels and Robert saw a unique opportunity. He raised some capital and acquired the Owens boat moulds. Even though he had no experience in building seafaring vessels, Robert persevered and eventually launched the Sovereign 17 in 1971. The Sovereign 20 was released soon after and by the following year the company was exhibiting at the Southampton Boat Show. Robert’s brother John joined the business and by the late 1970s Sunseeker boats were being widely sold in the UK and North Europe. Don Shead, a leading designer joined the company and Sunseeker started producing a new kind of cruiser. The Offshore 28 was the first of its kind to be produced in Europe and was widely sold in Spain, Germany and France. This was the launch of Sunseeker International. The construction site in Poole consists of seven shipyards and production plants and a deep-water shipyard used to build larger yachts. After the company introduced an expansion initiative in 2007, an additional site was developed on the Isle of Portland and a factory was built in Poole. Using innovative technologies and revolutionary materials, the Sunseeker designs are tailored to customer needs. The Yacht Range – The classic yacht range from Sunseeker offers seven options ranging between 75 and 155 feet in length, all lavishly furnished and customisable. The Sport Yacht Range – Cruising speeds of an impressive 44 knots can be expected from the three yachts in the Sunseeker Sport Yachts range. The Predator Range – The Sunseeker Predator range won the 2016 Motor Boat Awards. The three yachts in this range are sporty and sleek, and sized between 57 and 80 feet. The Manhattan Range – Ideal for entertainment, the three yachts in the Manhattan range are between 52 and 65 feet long and is known for setting a new benchmark for mid-range yachts. The San Remo – There is only one San Remo option available and that is more than enough. Theis super luxurious yacht is 52 feet long and is known as the ultimate Sunseeker. Sunseeker has always strived to attain perfection and to exceed expectations. The brand’s global fortitude can be attributed to their commitment to break new waves, and discover new horizons.